This year, our head of aviation engineering, Harald Schneider, is celebrating his 10-year anniversary with AXIS. 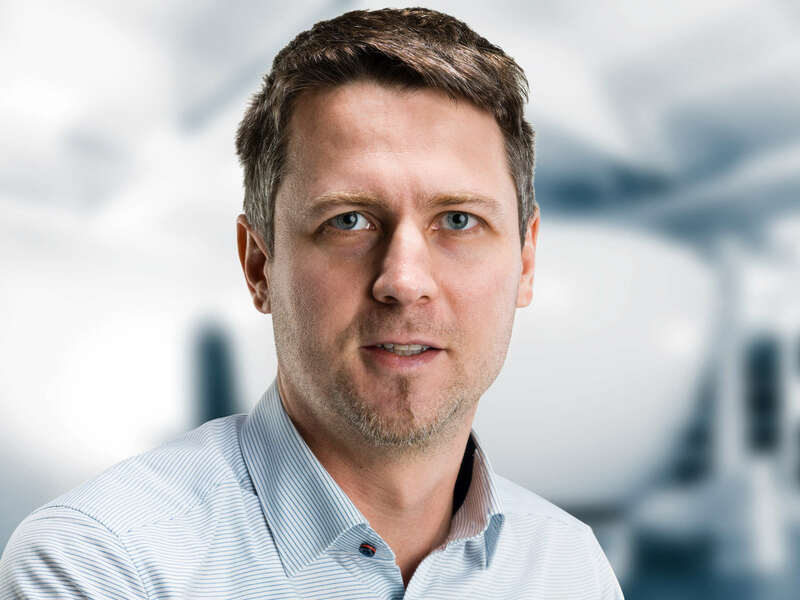 After graduating from University of Applied Sciences with a degree in Aviation Engineering in 2008 in Graz, Harald joined AXIS as an aviation engineer, working on a variety of full flight simulator models. He was appointed head of the department in 2015. What kickstarted your passion for aviation? I’ve had my Private Pilot’s License since 2006, but my passion for aviation started when I was a child. I’ve always been very technically-minded and interested in looking at how things work, particularly when it comes to aircraft. So you could say I’ve always been an enthusiast – even before I started learning how to fly, I was studying to become an aviation engineer. Whilst at university I recognised my interest lay in simulation, which brought me to AXIS. I’m very happy to say that there isn’t such thing as a ‘typical’ day! My role varies according to the status of different projects, as we go through phases of intense activity depending on how these are progressing. Right now, for instance, we’re just embarking on a few different projects, so we’re working up concepts on how we envisage the different stages will develop. When we’re closer to the final stage of a project I’ll spend more time on-site with the customer, which is always an exciting – and busy – time, and which has taken me to training facilities all over the world. Putting together the many different components that make up a full flight simulator, and seeing it in its final incarnation, is one of the most rewarding parts of my job. One of the projects we’re currently working on is a business jet simulator. Our department, aviation engineering, is responsible for – amongst other things – all the system simulation. Right now we’re in the design phase, looking at technical solutions for things like how to implement the autopilot, or how to start the control loading system correctly within the given time. We have very high quality standards at AXIS, informed by authorities, what our customers want and our own specifications, so we have to ensure every element is thoroughly tested and tailored to the project in hand. What do you think simulators will be like in 10 years’ time? A cockpit is a cockpit – so I don’t think there will be a dramatic change in how we build the simulator itself. However, where we will see a lot of change is behind the cockpit, and this will be driven by automation. Systems will be powered by intelligent software, which means they’ll be much more efficient for both flight instructors and maintenance technicians. All parties that use or work on the simulator will be able to focus on just the most important elements, leaving extraneous or repetitive work to the software. Over the next 10 years, developments in artificial intelligence, data sharing and machine learning will all have a real impact on simulator technology. As we’re project-driven we have a very flexible team and flexible working practices, which allows us all to enjoy a good work-life balance at AXIS. I also love the opportunities for travel! As head of the department, I get oversight of all the different disciplines involved in building a full flight simulator, which I really enjoy. Every technical department works closely together to deliver a project, and personally I liaise directly with those in hardware and software engineering and production on a very regular basis. How does it feel to be celebrating your 10-year anniversary at AXIS? I’m delighted – 10 years has flown by, but in that time AXIS has gone from a very small company, almost like a start-up, to the expanded, professional company that we are today. It’s been great to see that evolution. Family – I have a one-year old daughter, so she’s my main focus right now! I’m hoping she’ll be an aviation enthusiast too when she’s older.